Burbank Water & Power recently joined forces with Kandela, a company that provides free, one-stop moving referral services for residents looking for a variety of home services. While best suited for people moving into a new home, the free service can be used by anyone interested in getting the best pricing on television, internet, phone, home security and other services. How does it work? Kandela partners with all major providers of cable, TV, phone and internet services, along with local providers of other home services. For example in Burbank, they partner with AT&T, Verizon, Time Warner and Charter to provide all entertainment and communication options to residents. With a single phone call, you can speak to a representative who will discuss pricing and service options, activate services you select, and schedule installation times – all at no cost to you. In addition to communication services, options include moving and storage, setting up utilities, cleaning services, home security and much more. To learn more, visit kandela.com/bwp or call 1-877-698-8884. As we begin 2016, I wanted to offer you some “quick Burbank market facts” in order to summarize what’s happened last year and what may be in the offing for this new year. First up, some “frothy” facts concerning Burbank real estate values and appreciation: In 2015, largely driven by strong demand and low supply, SFR values rose very nicely, with the median price rising to an incredible $676,000, representing a 5.4% increase from 2014. Now even for me, a Burbank Realtor working this market for now 29 years, that figure both pleases me, yet concerns me. I’m happy, of course, because I own Burbank property and it’s value is worth more. But as a real estate professional, I’m very concerned that not enough young Buyers can afford Burbank, as well under 20% of would be first time Buyers can afford that current median price! The growing inventory attests to that, as out of 93 current SFRs currently on the market (much higher than at the start of 2015), a paltry 13 are priced between the least expensive – $475,000 (on Buena Vista) and $650,000! The rest of the inventory is more expensive, with a top price of $3,950,000 (very inflated.) As is always the case, a hot real estate market always starts to cool and inventory build when AFFORDABILITY enters the picture. Another clue that confirms this is the fact that condo inventory has decreased to a mere 26 units, obviously because of demand and the lower price point. Obviously, with the passage of time, the inventory figures cited here will change. Please call me for a update! What to expect in 2016? I think Burbank property will still see growth, yet along the lines of a more modest 3%. Inventory will grow, but still predominately above $700,000. Plus, we’ve already seen a slight uptick in the cost of money, i.e. interest rates, given the Fed’s action in December. Burbank, located in beautiful Southern California, is home to the world famous California sunshine and some of the best local attractions that you will find anywhere. It addition to beautiful weather and plenty of things to do, Burbank also boasts a great location in Los Angeles County. Located just 12 miles northwest of downtown Los Angeles and even closer to Hollywood, it is no wonder why Burbank has become known as the “Media Capital of the World.” Each year, families from across the country come to Southern California to enjoy a wealth of recreational activities, great weather and excellent food! With all that Burbank and Southern California has to offer, it should come as no surprise that the area is one of the top destinations for travel in the United States. If you are one of the many who are preparing for your summer trips to Southern California, then you have come to the right place. I am Dan Soderstrom, and I love nothing more than welcoming visitors to our area and I would love to help you when you are preparing for your summer trips to Southern California. As a local Realtor who lives, works and plays within the areas I service, it would be my pleasure to help you get to know our community. If you are wondering what to do with your family this summer in Burbank, then you are in luck. You will find a wide range of attractions and events to choose from, with something that is sure to appeal to everyone in your family. Burbank and Southern California offers plenty of family friendly activities for you to choose from. Whether you are interested in history or outdoor activities — or anything in between — you are sure to find it here. When you come to California, the options are truly endless! Below are some of our favorite things to do with our families in Burbank. We think you and your family will enjoy them, too! Take a tour at the Warner Brothers studio. Burbank isn’t known as the Media Capital of the World for nothing! You and your family definitely won’t want to miss out on this huge part of the Burbank culture, and what better way to experience it than by taking a stroll and exploring one of the most famous movie and television studios in all of the world. Take in the sights at the Burbank Farmers Market. Everyone delights in all that the farmers market has to offer. When visiting Burbank, head to the farmers market where you can pick up something local and fresh for a snack or for dinner. History lovers will enjoying learning about Burbank’s rich history at the Gordon R. Howard Museum. Be sure to plan accordingly — the museum is only open on Saturdays and Sundays, and tours are booked by appointment only. Be sure not to miss the summer concert series at the Starlight Bowl, one of Burbank’s most popular attractions. Boasting 90 years of parks and recreation in the Burbank area, the Starlight Bowl is sure to be one of your favorite highlights of your trip! If you are interested in learning more about Burbank real estate, or if you are searching for a Burbank California Realtor, I would love the opportunity to serve you as your Southern California real estate professional. I pride myself on offering the highest levels of service to my clients, and would love the chance to put my skills and enthusiasm to work for you. Throughout my real estate career that has spanned nearly three decades, I have dedicated myself to personally representing my clients’ best interests from start to finish in their real estate transactions. I will work to make sure that you are comfortable throughout the entire process and I will take the time to explain everything to you in detail, so that there are no surprises along the way. When you are ready to start your search of the available Burbank houses for sale, feel free to give us a call or connect with us online. In the meantime, spend some time exploring our website, which was designed with your user experience in mind, to provide you with pertinent information on life in Burbank and Southern California. 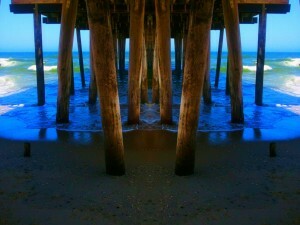 Be sure to check out our blog, with topical posts about real estate and Southern California. Browse through our current listings and then give us a call to get started in finding your dream Burbank home today! Burbank, just twelve miles northwest of downtown Los Angeles, is one of the most family-friendly areas in Los Angeles County. Filled with cultural activities, recreational opportunities and a wealth of things to do and places to eat, this list could easily be a few pages long! As a local real estate professional that lives, works and plays in this vibrant community, it would be my pleasure to share a few of my favorite family-friendly locales with you! #1:Two Milk Minimum: Flappers Comedy Club offers a one-of-a-kind family-friendly comedy show called “Two Milk Minimum”. They have a rotating cast of headlining comedians, magicians, and novelty acts. It’s fun for the whole family! #2:Kids Castle: This exciting indoor playground offers family entertainment on a while new level. From fantastic food and drinks, to beer and wine for the adults, the Kid’s Castle is located in Burbank on West Empire Ave. Kids Castle is open on Thursdays from 12pm to 9pm, and Friday through Sunday from 11am to 10pm. #3:Warner Brothers VIP Studio Tour: The knowledgeable tour guides at Warner Brothers will lead you through some of the most memorable moments in film and television history and how they were created! Currently, you can also buy tickets for the Batman Exhibit, which celebrates the 75th anniversary of DC Comics’ Batman with a world of superheroes, Grappling Guns and Batarangs at the studios where the classic movies were made. #4:The Los Angeles Zoo and Botanical Gardens: The Los Angeles Zoo is always an exciting place to take the kids. Right now, during the holidays, the zoo is featuring fantastic exhibits and events including the LA Zoo Lights, the LA Zoo Reindeer Romp, and the Winter Zoo Camp. Their closed on Christmas day, but you can visit the zoo the rest of the year for just $19 (adults) and $14 (kids 2 to 12). #5:The Martial Arts History Museum: This unique attraction in Burbank offers kids and parents a new perspective on how Asian history became a part of American history and cinema. #6:Rockin’ Kids Burbank: This fun and exciting indoor playground and party center is located on E. Magnolia Boulevard in Burbank, and is a great place to kick back and relax while the kids enjoy a plethora of activities. They also offer snacks, drinks and WiFi, so bring your computer! A day pass will cost you $9, with group play dates starting at $7/child. #7:Los Angeles Live Steamers Railroad Museum: located nearby in Toluca Lake, the Steamers Railroad Museum operates 7 ½ gauge model trains for the general public to ride from 11am to 3pm every Sunday. They rely solely on donations, and kindly suggest a donation of $3.00 during your visit. That’s a pretty inexpensive way to enjoy an afternoon with the kids. #8:Sunset Ranch in Hollywood: Not too far from Burbank, Sunset Ranch offers an escape from the hustle and bustle of the city. Spend the afternoon with beautiful horses – often with food included! This adventure is suitable for those animal lovers aged 8 and up, and reservations are encouraged. #9:Pickwick Gardens: Also located in Burbank is Pickwick Gardens – a one-stop shop for ice skating, bowling and more. Enjoy the beautiful gardens or plan your next family party at their conference center! These are just a few of the wonderful attractions located in close proximity to the Burbank real estate I help families buy and sell each day. As a Burbank CA Realtor, it would be my great pleasure to help you learn more about our neighborhood and the wonderful Burbank homes for sale currently available to you. When you’re ready to explore the Burbank real estate available to you and your family, please do not hesitate to contact me today. With years of experience in the industry, I look forward to sharing my knowledge and experience with you. 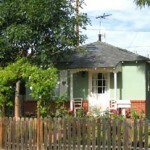 Let’s get started today – whether buying, selling, renting or investing in Burbank, California. Located just 12 miles northwest of downtown Los Angeles and a few miles northeast from Hollywood, the city of Burbank consistently attracts new residents thanks to its safe communities, plentiful career opportunities, convenient transportation and excellent schools. Burbank homes are among some of the top choices of buyers from across Los Angeles County, and the Burbank real estate market continues to see signs of recovery. If you’re thinking about buying Burbank CA real estate, one of the first things you’ll want to consider is which of Burbank’s top neighborhoods you’ll want to live in. As a lifelong resident of Burbank and a Realtor® with more than two decades of experience representing buyers and sellers of this community, it’s my great pleasure to provide you with the list below. While it does not encompass each and every single neighborhood – whether official or unofficial – it will give you a great starting point for your search. Magnolia Park: This community is one of the more sought-after neighborhoods for residential housing in the “flats” of Burbank. Generally speaking, it encompasses the streets that run south of Magnolia Boulevard to Verdugo Avenue, and from Clybourn to the west, to Mariposa (or Glenwood Place) to the east. 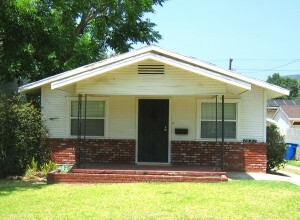 Many of the homes in Magnolia Park were built in the 1940s and ‘50s, while some have been expanded. In an effort to prevent “Mansionization,” the city of Burbank invoked an ordinance in 2005 that set limits on the height of new construction and additions, as well as setback and lot coverage requirements. Rancho District: Simply known as the Rancho to area residents, this charming equestrian community is a rare and unique offering for Burbank. The juxtaposition of seeing a horse trot casually on the shoulder of Riverside Drive while the Walt Disney Corp. entertainment complex sits nearby is something quite unique. Here you’ll find pleasant tree-lined streets with well-manicured homes and varying architectural styles. A small-town community charm and ambiance is perhaps one of the biggest draws to this Burbank neighborhood. Chandler Park: This neighborhood is one of the newer in the “flats” of Burbank, and is comprised of homes along the beautiful Chandler Bikeway, south to Magnolia, along with homes north of Chandler up to Burbank Boulevard. Many of the homes along Chandler Boulevard are on smaller lots, while the majority has more conventional, larger sized lots. The Media District: As the name implies, the Media District offers ideal proximity to Burbank’s media and entertainment related businesses. For those who work in the media industry, this ideal proximity to work can be an excellent perk. Similar t many residential areas in Burbank, the homes in Media District were primarily built in the 1940s and can be found on quiet tree-lined streets. Toluca Lake: This neighborhood is made up of traditional 1940’s style housing, yet also has its share of architecturally distinct estate-type properties that have made the Toluca Lake area a household name. It is important to remember there is the “Burbank side” and the “North Hollywood side,” the North Hollywood side being the one famously known. As you might expect, prices are higher because of the neighboring association. 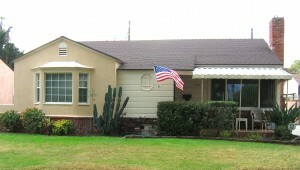 Rancho Adjacent: This neighborhood is one of the most desirable of the “flats,” and is adjacent to the Rancho area. The California Distinguished School, David Starr Jordan Middle School is located here. Buyers will find quaint tree-lined streets and beautiful mid-1940s homes, while many have been updated quite lavishly over the years. Of course these are just a few of the many top neighborhoods in Burbank. For more information on the area, please feel free to visit the Neighborhoods section of my website. You fill a more in-depth look at the Burbank community and the various neighborhoods and their histories. If you’re thinking about buying real estate in Burbank, it would be my great pleasure to serve as your guide. My decades of real estate experience and local knowledge are just what you need to ensure a smooth and successful transaction. Whether you’re in search of a quaint bungalow in Chandler Park or a Rancho equestrian home, do not hesitate to contact me today. I am always just a phone call or website inquiry away and look forward to sharing my expertise with you. Let’s get started today! Burbank is prominent city in Los Angeles County in Southern California that is located only 12 miles away from the downtown area. Burbank is known as the “Media Capital of the World” and is only a few miles northeast of Hollywood. Many media and entertainment companies are headquartered in Burbank, which allows residents to enjoy a wide range of career opportunities as well as continued success and a thriving economy. There are many reasons why individuals are constantly attracted to the area including the safe communities, career opportunities, easy transportation, the schools and the outstanding Burbank Real Estate. The most current market trends and statistics from May 2014 show that the real estate market in Burbank is extremely promising! There were 104 Burbank CA Homes for Sale listed this year in May compared to 98 at the same time last year. Distressed properties are down to nine from 15 and the median price for a single-family home has gone up to $650,000 and $425,000 for condos and townhomes. The market is steadily improving and with everything else that the Burbank area has to offer it’s no surprise that numerous individuals are relocating to the area and enrolling their children in the Top Schools in the Burbank Area. Burbank is located within the Burbank Unified School District and there are several California Distinguished Schools in the area including the Luther Burbank Middle School. Both the public and private K-12 schools routinely score above state and national average test scores. There are 34 preschools, 24 elementary schools, 13 middle schools, 12 high schools and one charter school in the Burbank area. There are also higher education establishments including the Woodbury University, which offers a number of undergraduate and graduate programs including business, architecture and a variety of design programs. A number of smaller colleges are also located in Burbank, including several trade schools and programs that serve the entertainment industry. There are also 47 private schools in the Burbank area. Burbank High School is one of the most prominent education establishments in the area and it is ranked 319th within California. Students have the opportunity to take Advanced Placement coursework and exams to prepare them for college level learning and more than 33 percent of students in this school take advantage of this program. There are a few very important factors that homebuyers look for when thinking about moving into a new area. Homebuyers are interested in low crime rates, good neighbors, promising career opportunities and good schools. Burbank scores very high on all of these points, which makes it an extremely desirable community for homebuyers. Taking current market trends and statistics into consideration truly makes Burbank a dream location for individuals looking to settle down and enjoy a comfortable lifestyle. 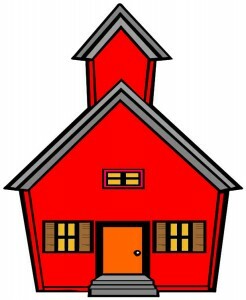 Purchasing Real Estate in the Burbank School District is easy and there are many options to choose from. Regardless of whether you are buying your first home or if you are a veteran to the real estate market you will find top notch Burbank Home Listings to meet and exceed your expectations. The local real estate options are made up of traditional single-family homes, modern condos, charming townhomes, expansive luxury estates and more. The neighborhoods are clean, the streets are lined with luscious trees, the lawns are perfectly manicured and every property is equipped with outstanding amenities and accommodations to fit the needs of every interested homebuyer. Burbank is a city of diverse and distinct neighborhoods with homes offered in a variety of architectural styles, sizes and prices. Whether you are looking for a private home tucked into a luscious neighborhood or quaint property located near the top elementary school where you want to enroll your children you will find that it is easy to navigate the market with a little assistance from a professional real estate agent. Whether you are buying or selling a property within the Burbank School District I guarantee that I, Dan Soderstrom, will assist you in finding the perfect property to fit the needs of you and your family. Apart from working as a professional realtor in the area I’ve also had the good fortune of calling Burbank my home for more than 50 years. This allows me to offer insider tips and tricks to my clients, which helps them familiarize themselves with area in a timely and efficient manner. If you would like to learn about current listings near the top schools in Burbank or for more information about the current real estate market don’t hesitate to give me a call. I would be more than happy to answer your questions and help you find the perfect home in Burbank, in the perfect neighborhood and at the perfect price. With the real estate market gaining consumer confidence the housing market in Burbank is gathering speed as well. While the gains are not huge, the steady rise and pace of improvement is very encouraging. 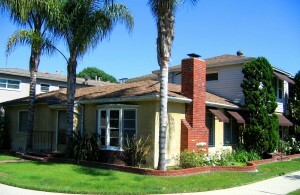 Burbank is a city that is highly desirable among homebuyers and the area is extremely popular. For a city like Burbank to stay low on numbers for too long is highly unlikely. While other parts of the country are also experiencing small gains in real estate sales and numbers, Burbank will climb higher and higher each quarter. The 2014 1st Quarter Burbank Real Estate Market Trends show that there was a definite jump in home sales since last year. Housing prices rose just over five and a half percent, which puts the median home price in Burbank at $576,000. The average listing price for Burbank single-family homes was $731,960 at the beginning of June, which is a full one and a half percent increase from the previous week. The median price for a single-family home in Burbank in April was up more than $20,000 above what it was during the same time last year. Both condo and home prices have steadily risen, according to the latest market reports. Condo prices jumped from $350,000 to $416,000, which is a whopping 19 percent increase. While prices and sales are steady and gaining strength, the number of new listings on the market has significantly dropped. Listings dropped to 54 in April, which is down from 81 in April of 2013. There were also 22 condos listed for sale in April of this year, which is significantly lower than the 30 that were listed for sale at the same time last year. Despite the shrinking inventory, real estate experts are still feeling good about these changes. Last year inventory was higher because there were more bank foreclosure properties and short sales. This year there are hardly any short sales and the majority of sellers are putting their homes on the market for traditional reasons such as upgrading to a bigger home, downgrading to a smaller property or relocating to a different area. While the inventory is decreasing, sales are up from last year. This past April 47 homes were sold in comparison to 38 a year ago. There were also 16 condos sold this past April, which is up from 11 sold in April 2013. Experts believe that if interest rates stay low, or don’t get significantly higher, that the home values of Burbank CA Homes will increase another three to five percent by the end of 2014. Whether you are looking to buy your first home or whether you are a seasoned buyer, the Burbank Real Estate for Sale is sure to satisfy all of your real estate expectations. The neighborhoods in Burbank are characterized by clean streets lined with luscious green trees, picture-perfect landscaping, friendly neighbors, charming homes and luxurious amenities. The city is also home to various parks, attractions and entertainment centers. Residents and visitors alike enjoy outstanding dining options, unique shopping centers and boutiques, various entertainment options and venues, historical landmarks, museums, cultural attractions and so much more. There is no shortage of things to do or see in Burbank, and with the real estate market slowly and steadily improving, Burbank is sure to see a lot of activity for the rest of this year. As unemployment numbers steadily rise and faith in the economy grows and stabilizes, the housing market will continue to improve. I expect to see the numbers continue to rise over the next quarter. This means that right now is a wonderful time to buy real estate in Burbank, before prices jump too high and while interest rates are still relatively low. This also means that if you have been thinking about selling your Burbank home, this is the perfect opportunity. Since the inventory is fairly low and interest in buying a home is high a seller’s market is created. This means that sellers are more likely to get the price they want for their property – if not even higher prices. If you have been looking for a Burbank Home but haven’t found the perfect property yet, don’t hesitate to contact me, Dan Soderstrom to be your expert guide through the real estate process. I can help you find the perfect property to call home in Burbank and I can also help you market your property to make sure you get the best price for your home. I would be more than happy to meet with you and talk more about Burbank Real Estate – connect with me today!